“There’s never been more disruption in the auto industry. We’re in an era of massive opportunity,” said Carlisle to the room packed with dealers. Carlisle talked about the different ways GM is exploring mobility and the ownership model globally, as seen through its recent partnerships with Lyft and its new car-sharing service, Maven, for urban dwellers. His presentation also explored electric vehicles and the move to reduce emissions, as well as the migration from the connected car to autonomous vehicles. Carlisle cited recent research that found autonomous vehicles will be a $87-billion industry by 2030. YOUR ONLINE REPUTATION MATTERS. HERE’S HOW TO DEVELOP, BUILD AND PROTECT YOUR BRAND ONLINE. Warren Buffett once said, “It takes 20 years to build a reputation and five minutes to ruin it. 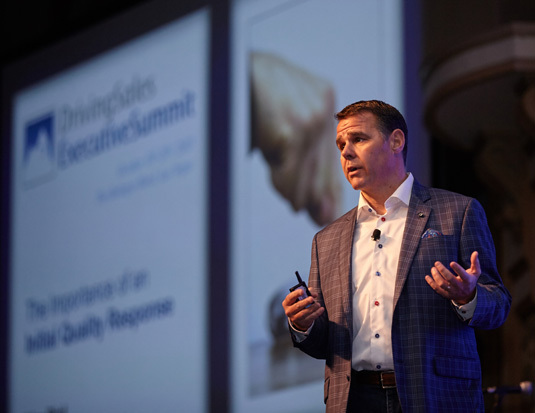 If you think about that, you’ll do things differently.” You’ve spent years building your dealership’s reputation — investing time, sweat, and resources into providing an exceptional customer experience. No one understands how valuable your reputation is more than you. As we shift gears and head into 2016, I would like to take a moment to reflect on the changes this industry has seen over the last quarter century and how they have driven us forward. As much as the vehicles we sell have evolved, so has the rest of this business. The massive shift to digital has impacted every aspect of our industry. Sometimes, it’s only when you look back that you can see how far you’ve come and can determine where you’re heading. Leads are the lifeblood of our industry. They’re what keeps the keyboards clicking, phone dialers busy, and help most dealerships drive more customers into their showrooms.